Posters or canvas printing of a Common Faun Butterfly perched upon a leaf in the rainforest. 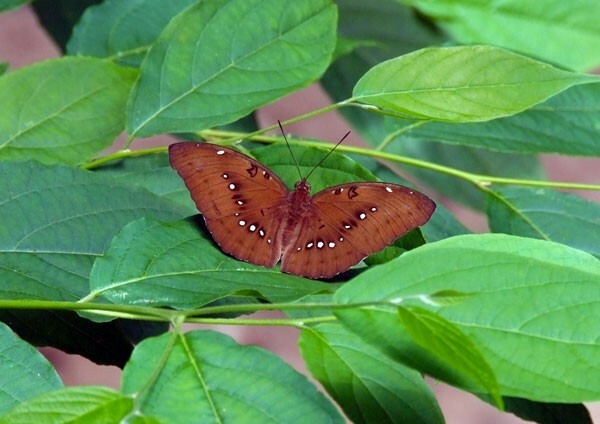 Common Faun Butterflies prefer forested areas, usually staying near the ground in shady areas. They are found in South and South East Asia. Individually crafted - we take pride in our unique collection of wildlife photography. Our high quality photo prints featuring butterfly pictures are printed individually to order. Common Faun Butterfly perched upon a leaf in the rainforest. Common Faun Butterflies prefer forested areas, usually staying near the ground in shady areas. They are found in South and South East Asia. Common Faun (Faunis canens). Stunning, high quality canvas prints on lightly textured poly/cotton canvas. Our prints are hand framed using gallery style (38mm deep) redwood pine bars. They are shipped ready to hang, complete with wall hanger. High resolution prints with vibrant colours and fade resistant ink technology. Our posters are printed on premium quality photo poster paper.